Beautiful Shoe Cabinet. 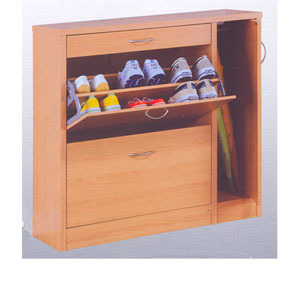 Features Two Pull Out Doors For Shoe Storage, One Drawer And Umbrella Storage. Available In Beech And Light Cherry Finish. Strong Construction. Easy To Assemble.